Lockheed Martin has been awarded a $31.3 million contract modification to support sustainment services for the Royal Australian Air Force’s fleet of F-35 Joint Strike Fighters supporting local industry partners. The US Department of Defense announced that services would be for aircraft manufactured as part Lot X Joint Strike Fighters. As part of Lockheed Martin’s commitment to transferring F-35 Original Equipment Manufacturer (OEM) knowledge to long-term Australian roles, more than 70 per cent of the contracted training service roles at Williamtown are now filled by Australian staff who have received specialist training provided by F-35 experts from Lockheed Martin and the US Air Force. Australian industry participation in the F-35 program has seen more than 50 Australian companies participate in various stages of the F-35 program to date, across manufacturing, training, maintenance and sustainment. Early commitment to the global co-operative F-35 program has secured Australia as a key strategic partner and enabled Australian industry access to global supply chains. Australia’s fleet of F-35s will be responsible for supporting thousands of jobs around the nation. Australian businesses like TAE Aerospace, Milskil, RUAG Australia, Heat Treatment Australia and Quickstep establishing themselves as key strategic partners embedded within the global program across the manufacturing, training, maintenance and sustainment life cycles of not only Australian aircraft, but those of allies as well. 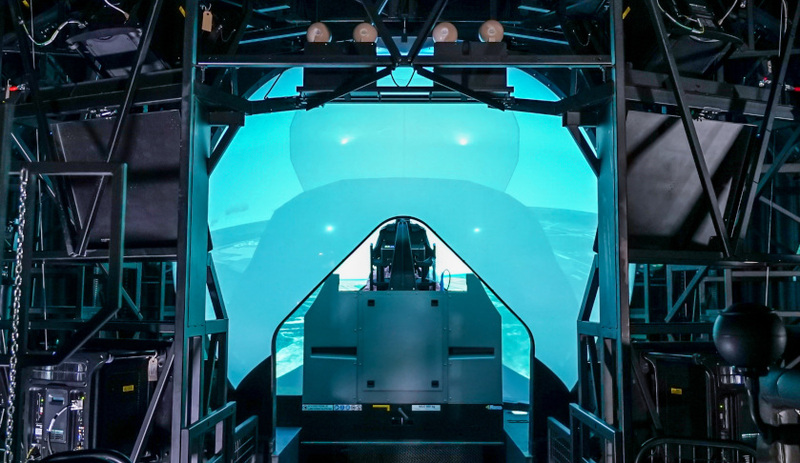 “The contract extension recently announced extends all of the existing roles and establishes a further 10 Australian positions as flight simulator instructors, simulator technicians and training system support, appropriate with the delivery of additional F-35 training systems to Williamtown,” the Lockheed Martin spokesperson explained. In the Hunter region, the F-35 program is forecast to create up to 400 engineering and skilled technical jobs over the next five to seven years. Nationally, over 50 companies at 18 different locations have contributed to the F-35 program, supporting over 2,000 Australian jobs. For the RAAF, the F-35A’s combination of full-spectrum low-observable stealth coatings and materials, advanced radar-dispersing shaping, network-centric sensor and communications suites – combined with a lethal strike capability – means the aircraft will be the ultimate force multiplying, air-combat platform. The F-35A – the variant chosen by the RAAF – will have with a projected life of 30 years in service. More than 340 F-35s are operating today with partner nations, more than 700 pilots and 6,500 maintainers have been trained, and the F-35 fleet has surpassed more than 170,000 cumulative flight hours. Over the coming years, Australia will purchase 72 of the advanced fifth-generation fighter aircraft as part of the $17 billion AIR 6000 Phase 2A/B program – which is aimed at replacing the ageing F-18A/B Classic Hornets that have been in service with the RAAF since 1985.